A good critical thinking activity. 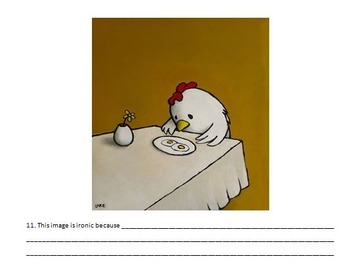 Students have to analyze a sequence of photos/images and work out why each one is ironic. 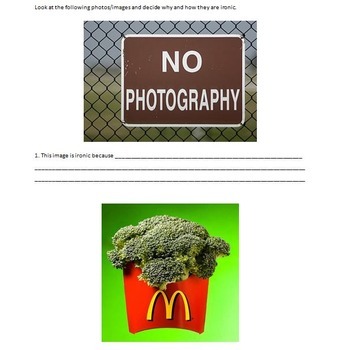 Includes one 7-page worksheet (as PDF or editable .doc).